January 8, 2007, the day Steve Jobs introduced the iPhone to the world, was the day Apple lost its innocence. Since then, Apple has regrown to become one of the biggest, if not the biggest, names in the consumer tech industry. But are they still thinking different? Microsoft has lost all but a sliver of this entire market. People who love computers overwhelmingly prefer to use a Mac today. Microsoft’s core problem is that they have lost the hearts of computer enthusiasts. Regular people don’t think about their choice of computer platform in detail and with passion like nerds do because, duh, they are not nerds. But nerds are leading indicators. This is true in many markets with broad appeal, not just computers. Microsoft is looking ever more so like the digital equivalent of General Motors. Car enthusiasts lost interest in GM’s cars long before regular people did; the same is happening with Windows. But I fear that just as Apple is about to reclaim its dominance in the computer market, they are going to lose exactly what Microsoft lost several years ago. Apple’s most critical fan-base is its developers that have risked a lot to build the iTunes app store to what it has become, and secure the iPhone as a long-term leader in the smartphone market. The reason why I don’t see Android, Palm, and Windows Mobile taking serious share from Apple anytime soon is the iPod functionality and the abundance of applications in the app store. But if Apple keeps screwing around with its core base, this dominance won’t last forever. The solution? Overhaul the app store and its approval process by separating the iTunes music store from the iTunes app store. Why did Apple start out with the app store as a part of the iTunes store? It was the easiest way to get it the iTunes app store online – they just had to build on the iTunes music store infrastructure. iTMS also provided guaranteed great amount of traffic to kickstart the app store and ensure its success. But now we are seeing the downsides of the app store being a part of the iTunes store. The app store has had an incredible start, but it’s long due for an overhaul. 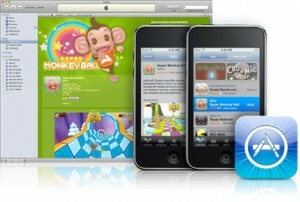 In iPhone OS, Apple does not bundle the app store with the music store. They are separate icons: “App Store” and “iTunes”. The way it should be. The desktop version of iTunes is so bloated, it’s ridiculous. How come an application that is supposed to be a music player is now the hub of all our digital content? Why is iTunes in charge of my photos, my calendars, my contacts, and my applications? I remember there were rumors a few years ago that Apple was going to rename iTunes to something like “iMedia”. I don’t see this happening. Instead, I envision iTunes becomes the lean music and podcast player that it used to be, and a new application that will be in charge of everything else. 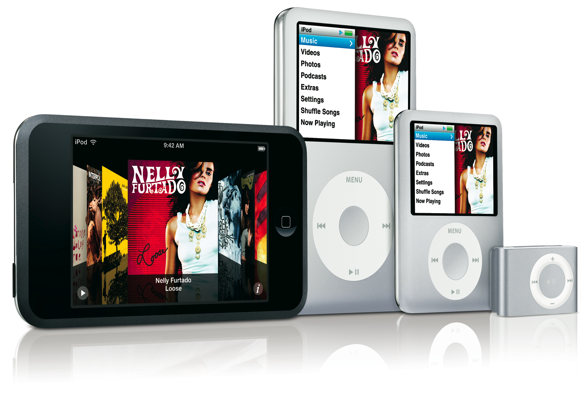 iTunes will no longer sync with iPods and iPhones. The new application (I have no idea what it would be called), would be in charge of all syncing of data, and will be the host of the new App Store. When Apple separates the app store from the iTunes music store, they need to reimplement the approval process. Clean up iTunes Connect. Provide a more scalable approval process that doesn’t piss developers off because they have a faulty app on the market an they can’t get an update out for a week or two, in the meantime suffering from negative reviews that will destroy the application and the developer’s reputation for a long time. And while Apple’s at it, they can do some other things to help ensure continued success by reorganizing the store to ensure more fair visibility for applications. Probably the biggest issue with the app store now is that the majority of apps are $.99. This means less revenue for developers and Apple. This has all happened because of the way Apple sorts the applications. The solution? Introduce new sections, the a “Top Rated” section. Also, make the “Top Paid” application list not sort by the number of applications sold, but the revenue generated by the number of applications sold. Then applications that are a little bit more that don’t sell quite as many will get a higher position in the Top Apps list. When this happens, developers will no longer be pressured to sell their apps for the dirt-cheap price of $.99. For this reason alone, I believe that Apple is already working on an iTunes store overhaul. Speculators believe the biggest point to be made at this event is that Apple will significantly lower its prices on all MacBook models. 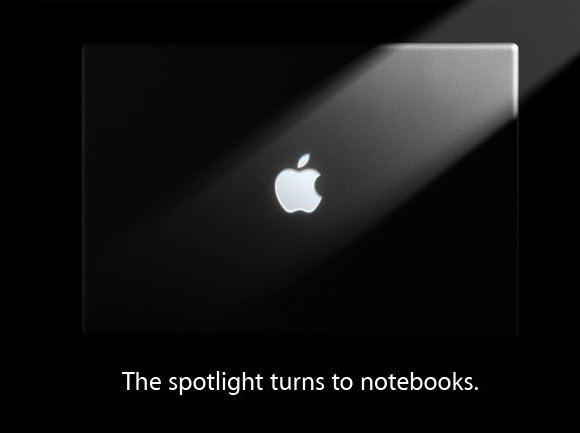 Apple is expected to revamp its entire notebook line at this notebook-only event, as all MacBooks models are due for an upgrade. The MacBook and MacBook Pro lines were last updated last February with Penryn processors and a multi-touch trackpad to the MacBook Pro. The MacBook Air was first introduced last January at Macworld Expo 2008 at a very high price-point. Apple is known for introducing first-generation products at a very high price point, then making significant price cuts on the next generation. Apple has lately been straying from using plastic in its products and moving to more environmentally-friendly and high-grade materials, such as aluminum and glass. The MacBook is the last major Apple product line that has yet to transition away from plastic and this event will likely be the event where this transition will be made. If the MacBook models are to transition to an aluminum enclosure, the MacBooks will look simply appear as a smaller MacBook Pro. For this reason, Apple could consolidate the MacBook Pro and MacBook lines into one singular “MacBook” line with different models with varying screen sizes and internal configurations. 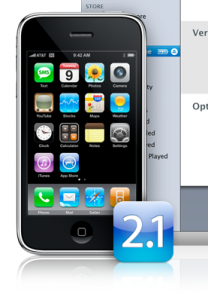 Steve Jobs mentioned during his September 9 “Let’s Rock” keynote that iPhone 2.1 software would become available for download on Friday and would bring along with it many bug fixes and improvements. He seemed very confident that this update would satisfy troubled iPhone owners. Early reports are claiming the update really delivers – fixing many of the known bugs and issues with iPhone software versions 2.0-2.0.2. The iPhone 2.1 really is a “big update” just as Steve Jobs promised and it seems much more like a “gold master” than 2.0 ever did. My current iPhone is a replacement. I noticed once I got the replacement that the screen seemed washed out compared to my old iPhone 3G and my original iPhone. A thread on Apple’s Support Discussions forum had multiple people experiencing this exact same issue with their iPhones. However, upon updating to iPhone 2.1, I noticed the colors are much more vibrant and rich. The number of bars on my iPhone have increased dramatically. On Apple’s iPhone 2.1 Software Update page, they include “Improved accuracy of the 3G signal strength display” in a list of improvements. I find this somewhat controversial, as it leads one to believe Apple significantly boosted the reception, when in actuality just boosted the number of bars for all db levels. iPhone backups that used to take literally two hours now only take two minutes. I installed two apps and both installed within minutes. The delay that used to exist at the end of installing is now gone. Overall, the interface seems more nimble and responsive. I have yet to see any significant interface delays that once existed with 2.0. The new “3G” and “EDGE” icons are much nicer and easier to distinguish. Apple has updated the iPod application to feature the new Genius feature. For all the songs I have tested, Genius has worked really well. The songs it recommends are unique and compatible. Podcasts and songs now display more information. Around town, I seem to have five bars nearly everywhere I go. I find it interesting Apple did not “improve accuracy of the 3G signal strength display” in iPhone 2.0, instead waiting for this release. I have a feeling this might cause some controversy. Interface animations are much smoother now, especially with rotating the screen and rearranging icons on the springboard. My iPhone 3G speaker seems even louder. Magnetism Studios (aka Monkey Business Labs), makers of some awesome Dashboard widgets and some insanely great tees, has released a new application called Filemark Maker for Mac OS X that allows an iPhone or iPod Touch user to convert any Safari-compatible media file into a bookmarklet, making it possible to store files on your iPhone/iPod Touch without the need for internet access. That means you have access to your files everywhere, even if your iPhone is in airplane mode or without a connection. Filemark maker can convert any PDF, text, MS Word, Excel, or high-definition picture file into a bookmarklet. (There is a 6mb filesize limitation). Just drag-and-drop any file onto the Filemark Maker application droplet and Filemark Maker lets you bookmark that file from within Safari. So the next time you sync your iPhone’s bookmarks, all of your files you saved into Safari are now accessible on your iPhone or iPod Touch. Filemark Maker is freeware and is available for download from the Monkey Business Labs website. Apple’s been busy lately refining the user interface OS X for the upcoming Leopard release. However, there are several remaining user interface elements that have yet to be updated to the new Aqua-dark UI. And with rumors that Leopard has reached release candidate status with the latest seed, I’m worried that those Aqua-blue elements will never be updated, and they will remain in the OS for another two years. First of all, Apple has yet to replace the standard blue bubbly interface objects with the iTunes dark pill interface objects. The new Leopard user interface is pretty much a direct derivative of the UI work Apple has done to iTunes, however Apple has continued to ignore the new iTunes interface objects in the interface transition. While some may be opposed to the iTunes dark objects, the Aqua-blue objects seem so out of place with the new unified UI. I would also be happy if they just updated the scrollbar, if Apple doesn’t think the other iTunes objects work well on a cross-OS level. Hopefully they do something about it before Gold Master. Many are also uncomfortable with the new folder icons. Some claim they seem too “IBM’, others too “Windows”, to other they seem too “Linux”. While I have to agree, Tiger’s folder icon set definitely needing a refresh. I think the problem with the new folders lies with its two-dimensional perspective and its overall blandness. If the folders were offset and/or made more realistically, it would definitely improve the appearance of the icons. IndieHIG has come up with a pretty detailed criticism and analysis of the new icons, which highlight many of the complaints I and many others have with the new folder icons. Apple has improved Front Row to resemble and function very much like an AppleTV. So far, the only UI complaint with Front Row 2.0 is the launch and quit transitions. With Front Row 1.0, there’s a nice slick transition between the desktop and Front Row. Apparently with Front Row 2.0, Apple has had to trash that nice transition for a simple fade. Hopefully Apple can come up with a better transition than a fade when it comes time to the release. Mail.app’s and Preview’s icons remain ugly. Why has Apple not yet unified the entire UI like they promised. Preview and Mail’s toolbars are totally off from the rest of the interface. It’d be alright if they were somewhat decent, but these toolbar icons are simply hideous, especially with the darker unified window backgrounds. While these suggestions may seem like rather insignificant, I can say that I am not alone that Apple needs to really work on making Leopard the best they possibly can – and to not rush things. Because usually, the first version of an OS X is nearly identical with the final version feature-wise. So please Apple, finish the job. With this seed, Apple continued to polish Leopard’s user interface. New app icons, new desktop backgrounds, new welcome video, and UI elements polish. An important change Apple’s made with OS X is now some of the more important CoreService applications, like Spotlight, Exposé, and Front Row can be launched through independent apps that are now available in the Applications folder, similar to the Dashboard app. 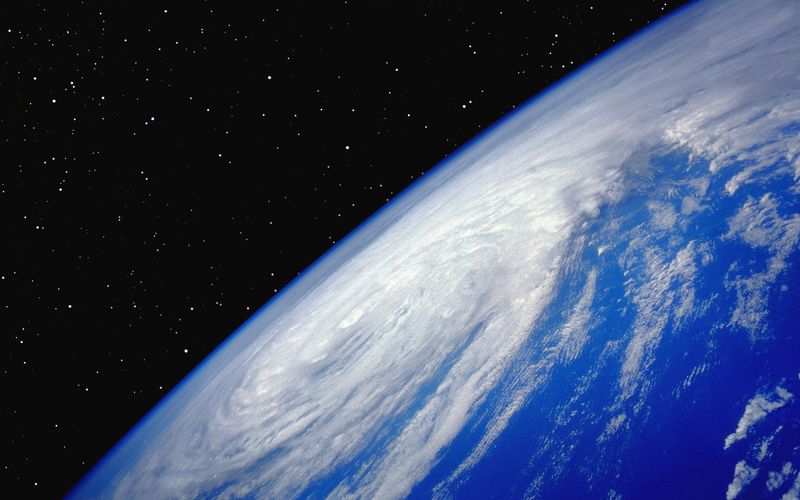 Spaces can also be launched as an application. New desktop backgrounds. 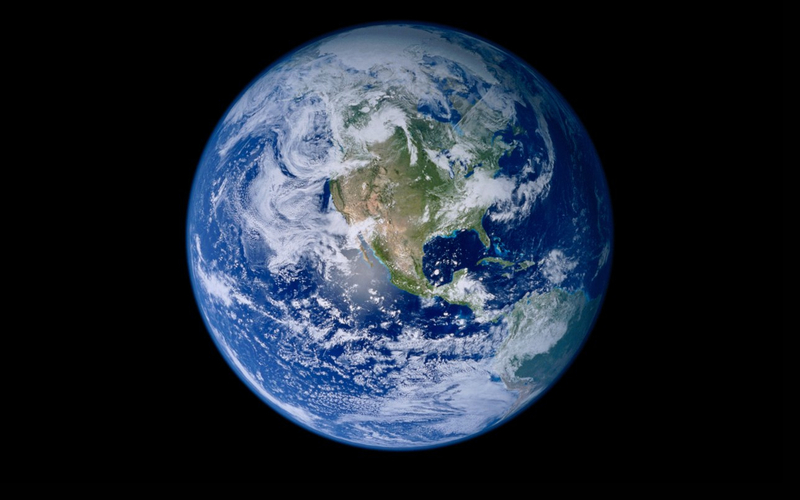 One of them is the iPhone’s default desktop background (which was taken by NASA), the other is a beautiful profile of the Earth. It looks like Leopard is really close to reaching Release Candidate stage. As Apple continues to push out seeds more frequently, it seems Apple’s making the final UI polishes before Leopard is finally declared Gold Master. So far, I’m really impressed with the improvements Apple’s made with the UI. Let’s start small with the Shuffle. New pastel colors. Still $79 and same memory capacities. Yep, that’s pretty much it. Let’s move on. One of the biggest announcements at the Keynote was the new video-playing, “stubby” Nano. Now that the Nano has video, all iPods with a screen have video. The Nano is still offered only in 4GB and 8GB models. I have 4 hours of video in my library and thats 3Gb. So for me, the 4GB would not be able to handle my video and music library. Now letâ€™s say I upgrade to the 8GB. This leaves me about 4GB of music. But why would i do that. For $50 more I could buy myself an 80GB Classic with a .5 inch bigger screen. I donâ€™t understand why Apple added video to the Nano. They now have mixed all of their iPod customers into one type. Now your only buying screen size and capacity. For me, the Nano is definitely not the iPod for me. For people who really plan on watching video, they need to consider the iPod Classic or iPod Touch. I think Apple just added video functionality for casual occasional videos – maybe video podcasts or music videos. However, I do think the Nano is still great for running, especially with the Nike+ iPod kit. By the way, the new Nanos have games too, but I don’t look forward to playing games on such a tiny screen. If I want to game, I’ll buy a PSP or DS. However, it will be interesting what homebrew cooks up for the iPhone and iPod Touch for games. So far, we’ve got NES, “Lights Out”, Yahtzee!, Blackjack, Minesweeper, and more. 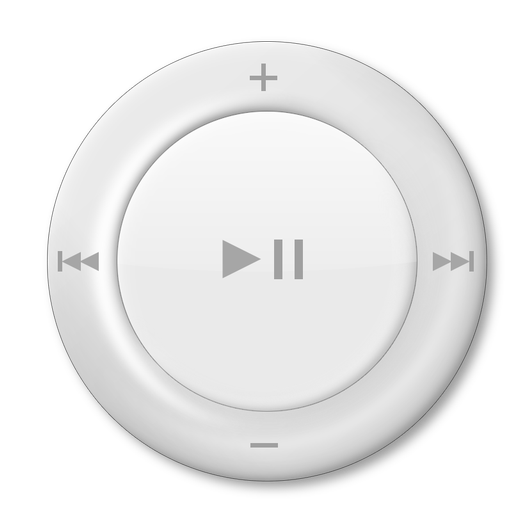 One of the bigger announcements was that the new iPod Nano now comes with a new user-interface (and possibly a brand new OS) that allows for Cover Flow and some more eye candy. So the Nano. 4GB, only silver for $149. 8GB, silver, blue, green, black, and red for $199. Thinner, wider, and now with video. Honestly nothing revolutionary here. The biggest surprise was probably the name change. No longer can you buy simply an “iPod”. A big surprise for others is probably the amazing memory capacity available. The new iPod Classics are now all metal. The front plastic from the 5G iPod has been replaced to the same metal Apple is using with the Nano. Apple has curiously kept the back the same metal as the 5G iPod. I believe this will raise appeal. Now the outside wonâ€™t scratch (at least it wont be as easy to) and the memory capacity is amazing for people with serious video and/or audio libraries. 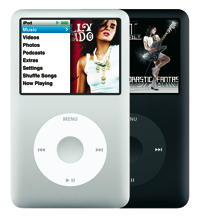 The new iPod also comes bundled with the new OS Apple has written for the Nano. 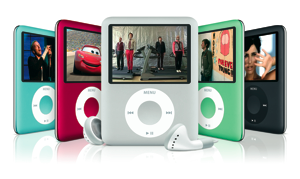 The iPod Classics are available in 80GB and 160GB models. They are $250 and $350 respectively. Silver has replaced white, and will probably now make the black model even more popular. The iPod Touch was probably the most exciting announcement. Well, you know the iPhone. Take away the phone and youâ€™ve got the iPod Touch. Itâ€™s an iPod with a 3.5 in touch screen. It has Safari with Wifi, the whole thing. It also has YouTube, MobileCalendar, MobileAddressBook. However, Apple did not include a Mail application or the stock, weather, or Google Maps applications. MobileOSX includes Cover flow with the accelerometer. The iPod Touch models are both a bit thinner than the iPhone. The iPod Touch does not have a microphone – which will make it hard for hackers to possibly turn the Touch into a VOiP iPhone. There is an 8GB and a 16GB version. Only $299 and $399 respectively. The iPhoneâ€™s price has been reduced to $399. It’s now only available in 8GB version. IMO Good move Apple. Anyone with a budget to buy the iPhone would buy the 8GB version for only $100 more. But now with only an 8GB model available and the price drop Apple has told us a lot. Plus anyone who bought their phone before this price drop gets a $100 rebate. 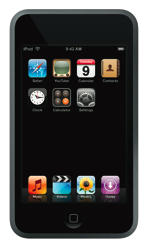 The new smaller price difference between the iPhone and iPods will probably make potential iPod buyers consider an iPhone. Apple’s recent aggressiveness will really pay off with one of the best fourth quarters ever. Actually, a lot. The biggest “side-announcement” was probably the new Wi-Fi iTunes music store. You can browse a full iTunes music store and download them straight to your iPod touch or iPhone. This is what people have been asking for since the first video iPods were released. I can see this significantly boosting iTunes music sales. Apple has setup a great convenience for people to buy that song they are listening to on the radio on impulse with just a few “taps”. Now Apple has caught the impulse buyer too. I think this will boost the iTunes Store to the next level in music sales. What else could Apple do to please us? What about the iPhone owners who were extremely upset after the price drop? Steve Jobs personally acknowledged the dissatisfaction from early iPhone adopters and has written a short open letter to all iPhone customers. In the letter, Steve clarifies why they dropped the price and then apologizes that Apple hasn’t really taken care of its most loyal customers and announced a soon-to-be-available $100 in-store rebate. Isn’t Steve the best? Apple is also taking advantage of the potential with custom ringtones? In iTunes 7.4, it is now (actually will soon be) possible. Once you buy a song in the iTunes Store you pick a 30 second section and apply fade-ins and/or fade-outs. It does cost $0.99 though. But $1.98 for a song and ringtone is cheaper than just a normal ringtone from your normal provider. Hackers have successfully circumvented this process by simply renaming m4a music file with an “.m4r” extension and then syncing their iPhones. It’s a relatively simple process, however it seems to have already been patched by Apple with iTunes 7.4.1. But software applications such as iToner ($15) and the free iPhone application “SendSong” are able to make ringtones without having to pay the extra 99 cents every time. Apple has recently seeded an update to its beta-testing developers, with codenames 9A527 and 9A528A. Developers are claiming the OS is close to receiving final candidate status. The update features greatly improved performance and stability, as well as a surprising number of UI tweaks. Developers are also noticing some of the UI tweaks Apple has made to Leopard since the previous version. In seed 9A528a, Mac OS X now sports a space theme in Leopard. 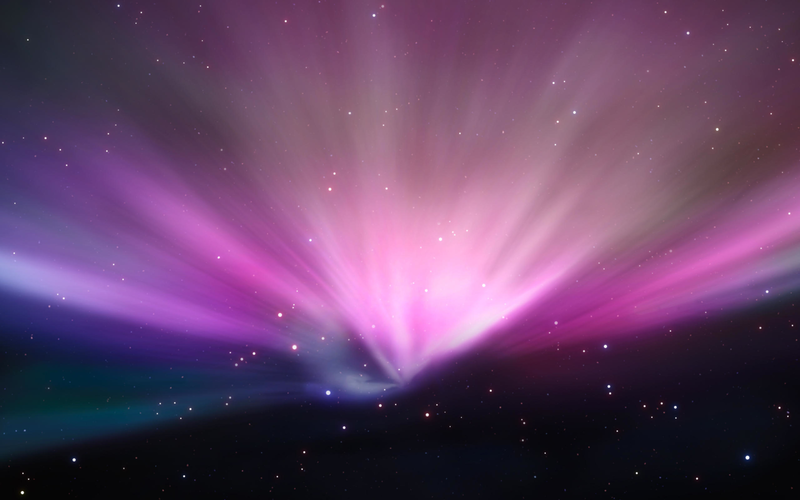 A few developers have already leaked some of the new UI elements, including Leopard’s new welcome video and the new default desktop wallpaper that complements Time Machine’s sci-fi theme. The new translucent menu bar is now less transparent by default and the dock is also receiving a few minor tweaks. It also seems the window action buttons (close, minimize, and expand) are now vector-based. The Mac Mini seemed like it had a bright future ahead of itself when Steve Jobs first introduced it at MacWorld 2005. It was introduced as the perfect switcher’s machine, since it was “bare bones”, cheap, and allowed for connection to third party displays, keyboards, and mice. When Steve introduced the new machine, it was available for only $499 and it received a lot of positive press. But the popularity of the low-budget machine has been declining ever since it’s launch. Some analysts and bloggers even predicted Apple was to drop the Mac Mini models from its product line yesterday at the August 7 special event. Steve didn’t make a mention of it in his Keynote, but it survived and even quiet speed-bump to all of its models. But in my opinion, I don’t see how much longer the Mac Mini can continue to survive with Apple’s current strategy. The Mac Mini hasn’t been a great success in large part because of Apple’s flawed Mac Mini strategy. Yesterday, Steve discussed Apple’s philosophy on consumer products, he said,”It’s an All-in-One World”. But the Mac Mini is the farthest thing from an all-in-one machine. Most low-budgeted consumers don’t already have a display and/or peripherals. So, when checking out the Mac Mini, they don’t understand the Mac Mini’s lack of a display, mouse, or keyboard; and they ultimately look to alternatives because of this. The Mac Mini doesn’t offer everything out of the box, and that turns off many low-budget consumers. Additionally, customers realize that the price of a Mac Mini with a display, mouse, and keyboard would be around the same price as a MacBook or an iMac. Initially, many Mac Mini users were using their Mac Mini as a home media center. And now, Apple’s cutting into it’s own marketshare, since the AppleTV has replaced the Mac Mini as the preferred Apple media center for half the price. This effect will only snowball as the AppleTV gains more functionality and popularity. When the Mac Mini was unveiled, Apple was getting a lot of positive feedback for finally offering a budget-driven Macintosh for only $499. But Apple quietly increased that price $100 for each model on the February 28th special event in 2006 and has yet to lower the models back to their original prices, while other PC manufacturers have continued to lower their prices. That extra $100 makes a big difference for a lot of people, especially when the consumer has to buy a separate mouse, keyboard, and display in order to use the computer. Right now, the Mac Mini seems to be going through the “Cube effect”. Two Apple-related products, the NeXT Cube and the PowerMac G4 Cube, were both discontinued due to their high price-points and lack of necessary peripherals. Those two products also didn’t survive because consumers prefer functionality over design. And unfortunately, it looks as if the Mac Mini is already on the way to suffering the same fate if Apple doesn’t do anything about it. The Mac Mini’s price-point aren’t targeted toward a big consumer audience. It’s awkwardly priced too high for low-end consumers, and it doesn’t offer some of the features high-end consumers want that can’t afford a Mac Pro and already have a display. Apple could either go two directions with the Mac Mini, lower its value and cater to the really low-end consumer; or bump up its graphics and processing capabilities and cater to a higher-level consumer audience that already have a display. Either way, the Mac Mini would finally be saved from its unfortunate fate and finally have a respectable place in Apple’s product line. iMovie has always made it impossible to produce advanced slideshows, especially when setting custom Ken Burns start-and-end frames. The problem used to lie with iMovie’s sluggish importing and encoding functions, however the problem seems to have been fixed with iMovie ’08, thanks to Apple’s decision to completely rewrite the application. Encoding and clip manipulation performance is faster than ever, and the new user interface is clean and intuitive. Previously with iLife ’08, making a fully-customized Ken Burns DVD slideshow was impossible. The closest you could get to a fully-customized slideshow involved making an iPhoto slideshow with custom Ken Burns effects and audio, exporting it to a QuickTime file, and importing it into an iDVD project. However, it was impossible to add and mix multiple audio tracks into the slideshow and iPhoto’s user interface made customizing each photo’s effects awkward. The entire slideshow production workflow just wasn’t thought out very well by Apple. Thanks to the iMovie code rewrite, photo slideshows are now fully customizable and easy to produce inside iMovie. iMovie is no longer sluggish when importing and encoding photos, start-and-end Ken Burn frames are now easy to manage, and managing multiple audio tracks and transitions are more intuitive than before. iMovie ’08 also has much-improved transition management. But on the other hand, Apple’s new iMovie rewrite has left a few features out that many will miss, such as movie themes and video effects. 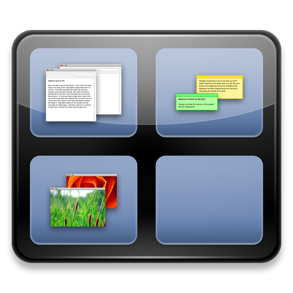 Fortunately, the iLife ’08 installer does not remove the previous version of iMovie, instead moving it inside a directory within the Applications folder named “iMovie (previous version)”. Hopefully Apple is already working on implementing the various features they left behind with iMovie ’06 into the new iMovie in a future software update, because once iMovie has those great features back it will once again become the easiest-to-use, most stable, and most fully-featured movie production application.